With the increasing demand of mobile in day to day life, many companies are showing interest in mobile manufacturing business. There are a wide number of companies that are in the market which are launching good ranges of attractive mobile phones in the Indian mobile market. 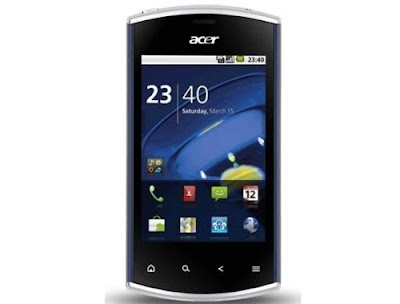 Acer is one of the leading electronic manufacturing company which is now into handset manufacturing business. 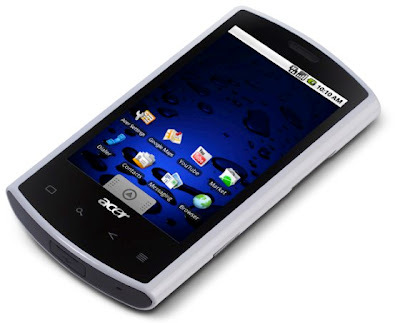 The latest mobile from the company is the Acer Liquid Mini which has already been launched in the Indian mobile market. The Acer Liquid Mini price in India will be around Rs. 11, 990. The Acer Liquid Mini features include the look, design and many more interesting facts about the mobile. The mobile can be operated by 2G and 3G network. The touchscreen of the mobile also provides better accessibility options. The display is of nice quality. Camera facility is also present in the mobile. Various types of entertainment facilities are also there. The dimension of the mobile is 110.4x 57.5x 13mm. weight of the mobile is 109g. The mobile is enabled with 3.2” inch of TFT capacitive touchscreen which supports 256K colors. Various types of sensors are also integrated in the mobile for various uses. The mobile is enabled with 512MB RAM and 512MB ROM. A 5MP camera is also integrated in the mobile. Video recording facilities are also present in the mobile. Good internet options are enabled in the mobile for using internet. The mobile is powered by Android OS, v2.2 and is operated by 600 MHz ARM 11 processor. FM radio facility is also present in the mobile. Various types of social networking sites are also available in the mobile in order to remain in touch with near and dear ones. The Acer Liquid Mini pictures are uploaded on the internet. The Acer Liquid Mini reviews are also positive and can be obtained from the internet.